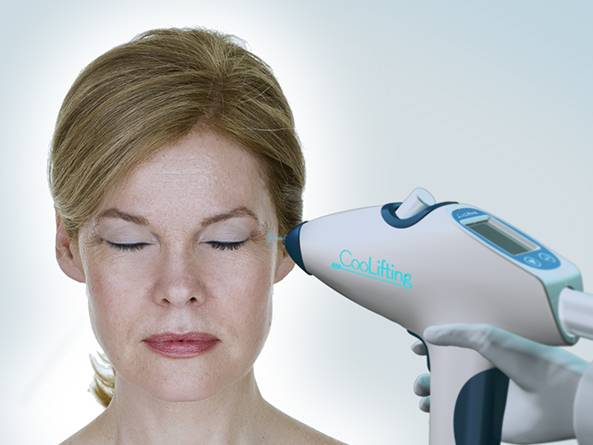 The CooLifting gun shoots on the skin a strong CO2 flow, combining an extremely high concentration of atomized actives at a very high pressure and low temperature. Paradoxical vessel-motricity: blood vessels constrictions followed by blood vessels dilatations of the blood micro-circulation. By suffering a strong cold stimulus, the blood vessels alternatively constrict and expand to counter it. Cryophoresis and barophoresis: multiplication of the Coolifting active by cold and pressure. The combination of cold with the high pressure applied on the epidermis causes a strong penetration of the Coolifting actives and an exponential increase of its effects. Thermal shock: stimulation of the underlying tissues. Those tissues are normally at a temperature of some 36ºC (97ºF). Upon experiencing a sudden drop of temperature, it causes a deep and instantaneous dermis reaction. Simple, effective, non-invasive and fast treatment: 5 minutes open a new future for rejuvenation. Symbiosis between a large concentration of anti-aging actives and an efficient activation of the epidermis allows it to penetrate as it was never attained before. 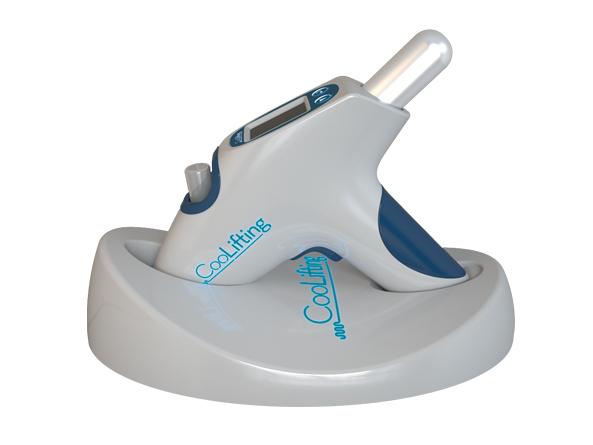 The Coolifting treatment consists of different types of vials that are applied, along with the CO2 cartridges, with the Coolifting gun in each treatment.